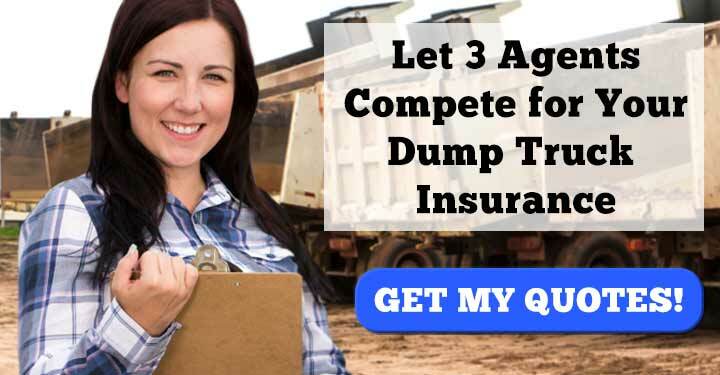 The optimal way to find a reliable company to insure your dump truck is by comparing several insurance companies at once. 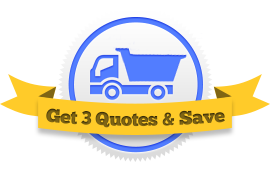 Use this free Request Three Quotes service to get in touch with three different insurance agents. They will compete for your business by offering individual estimates. You pick the one that’s right for you. This will save you money. After you’ve requested your quotes, our agents will return three options for you to consider. Before simply choosing the cheapest estimate, it’s important to ask yourself a few questions about the policies these companies have offered you. 1. Does the insurance company have a proven track record with my segment of the industry? 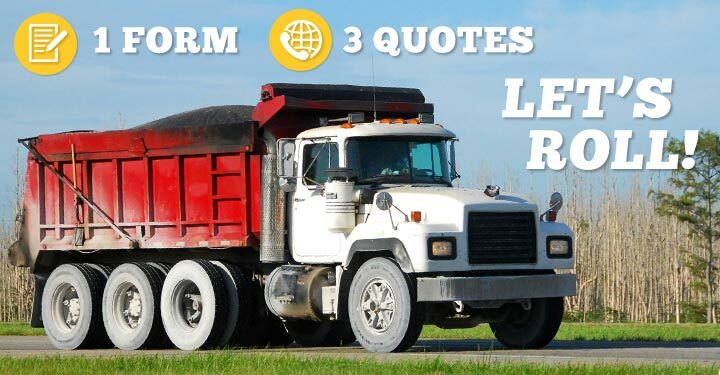 There are a lot of commercial insurance companies out there that do business with dump truck operators, and we promise to connect you with only legitimate businesses. However, it’s important that you conduct your own research as well. Some insurance companies are better fits for larger businesses. Some companies work best with small fleets and owner operators. Do your best to find a company that matches your needs. 2. Does my representative seem to understand dump trucks specifically? Some insurance companies cover commercial truck insurance broadly, which is to say they cover everything from semi-trucks traveling across the country to municipal garbage trucks. Dump trucks are often only a fraction of their business. That’s why it’s important to grill your representative on how they accommodate dump truck operators specifically. Certain things like Environmental Liability insurance are within the exclusive expertise of dump truck insurers. 3. Does this company offer 24-hour claims service? How quick is their certificate processing? In other words: Will the company be available when you need them? If you work nine to five, this shouldn’t be a problem. But if you can see yourself needing this company on nights or weekends, you should play it safe and find an insurer who’s open during those times. 4. What billing and finance options do they offer? Many dump truck operators are now choosing to pay their insurance in yearly installments instead of by the month. This can save up to 10% of your total premium. If this plan fits your budget, you should definitely consider it. 5. How Do They Weight Their Risk Assessment? 6. Is this within my price range? While it’s best to get air-tight insurance coverage, it’s also important to get a fair price. Don’t be afraid to ask about what discounts the insurance company offers. Oftentimes you can save a good chunk of money by simply showing the company that you have your CDL. Since the average price of dump truck insurance is quite high, every little bit helps. But by far the easiest way to save money is to just shop around. We’ve streamlined this process. Fill out this one form and we’ll connect you with three different insurance agents who will fight for your business. Get started now!